Home / Unlabelled / 17 year Old Girl Commits Suicide By Drinking Rat Poison. 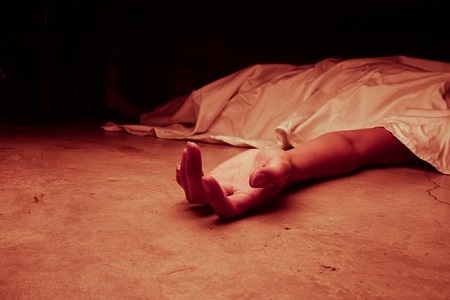 17 year Old Girl Commits Suicide By Drinking Rat Poison. A young girl has done the unthinkable by taking her own life in Rivers state after an incident with her parents. A promising 17-year-old girl has left many people in shock after she killed herself by drinking rat poison. The sad incident reportedly happened in Awalama Community in Obio-Akpor local government area of Rivers state. The secondary school girl, Miss Abibeto allegedly killed herself on Friday. According to PM News, investigation revealed that the girl who was described by residents as “cool, calm and intelligent girl” was reprimanded and driven away from home by her parents for unwanted pregnancy. According to sources, a few days before her demise, she was observed crying at a spot in the neighbourhood. Unknown to her parents she had already given up on life and decided to commit suicide. According to residents, she asked for insecticides from traders within the neighbourhood on Friday but could not get to buy. Unable to get her desired poisonous insecticides, she was said to have collected a rat poison known as “Sniper” from an unsuspecting neighbour. She pretended that she was going to use it to kill rats but drank it. Her lifeless body was discovered on Friday morning. She did not leave a suicide note but a close look at her body showed her mouth was smelling of the rat poison. The parents of the girl could not comment on her death when approached for comments. At the Rumuodamaya Special Area Divisional Police Station where the matter was first reported, officers also refused to comment on it. A source however said the matter would be investigated.